The growth achieved in the Year On Experience provides a foundational set of skills that prepares Fellows for success in tomorrow’s world. We believe strong individuals create stronger communities. Our program sets Fellows on a path of exploration and growth that will last their entire lives, wherever they may go. At every step, our program reinforces the belief that individual growth is only the beginning of our journey to understand how to serve our communities and act as global citizens. 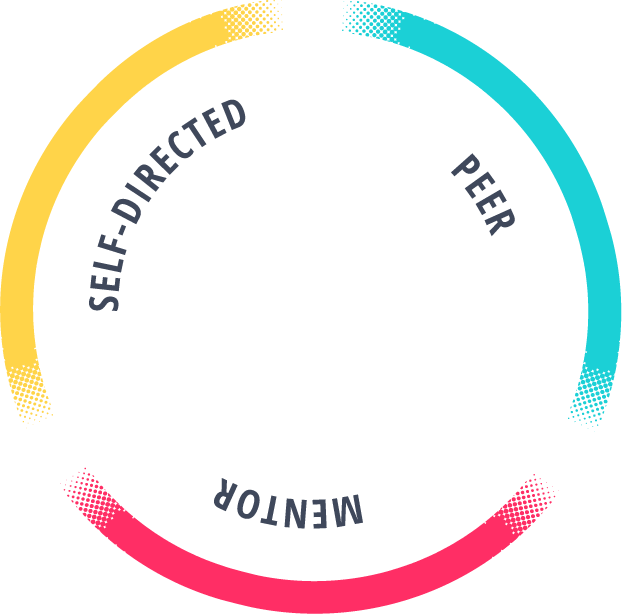 Our experiential learning approach uses three unique strategies—self-directed learning, peer learning, and learning through mentors — to provide a holistic experience tailored to fit each Fellow’s unique learning needs. Fellows are guided through the self-directed learning process, where they learn to take initiative, create their own learning goals, and implement appropriate learning tools. Fellows work together on group projects, critique each other’s work and learn how to collaborate to achieve a common goal. Throughout the program, Fellows will practice delivering and receiving peer feedback that will help them in honing their skills and communicating effectively. Fellows learn from their Coaches, Year On staff and professionals in the community to understand what it takes to succeed in their chosen field. Our staff and coaches “walk the talk,” consistently modeling behaviors the Fellows are learning. Behaviors are reinforced throughout all program activities, and required for success in academic and professional environments.